Portsmouth, New Hampshire is a charming coastal village located less than five hours from NYC. It is garnering a reputation as a culinary destination full of palatable surprises for even the most jaded foodie. Try to plan a getaway around the town’s annual Restaurant Week on April 4-13. This is an opportunity to find out why more than 60 diverse restaurants are attracting so much attention. The event features special three-course prix fixe menus for $16.95 at lunch and $29.95 at dinner. 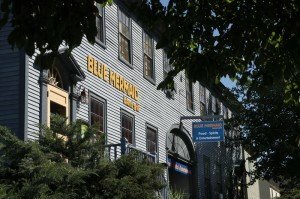 Everything in Portsmouth’s revitalized downtown is best explored without a car, as you can stroll from one destination to another in minutes. If you’re feeling lethargic, catch a ride on the cute Coast Trolley that will chauffeur you around for two quarters. With its functioning seaport, it may be redundant to state that there’s delectable seafood for diners who appreciate the daily catch. Jumpin’ Jay’s Fish Café is a local institution, and it serves exceptionally fresh seafood in a bustling environment. You won’t go wrong ordering mussel and bacon chowder and roasted cod. If you’re a landlubber, you won’t be left out. The Library Restaurant serves a juicy USDA Prime cut paired with some classic sides, such as creamed corn and garlic mashed potatoes. They received a 2010 Award of Excellence from Wine Spectator Magazine, so you are sure to find a vintage that will pair perfectly with your beefy meal. The martini bar features 96 takes on this potent beverage, so this is not the night to abstain. Waterfront restaurant River House features New England classics, like lobster casserole and seafood chowder. For a non-seafood bite, consider the Asian burger. There is a gluten-free menu for patrons that are allergy sensitive. To end your meal with a bang, try the warm chocolate lava cake. Don’t get the idea that Portsmouth is all comfort food and tradition. You can experience a range of ethnic meals. Italian food is a treat at Pesce, where the menu trends towards fish and simple pastas, made with the freshest ingredients. Radici also offers a taste of la dolce vita in an intimate candlelight atmosphere. Blue Mermaid Island Grill is Caribbean-inspired, and the Jamaican jerk chicken is seasoned with just the right amount of kick. There is a nice selection of innovative salsas, slaws and chutneys to heighten the flavor of your meal. Order a festive cocktail from their list of tropical coolers and you will feel like you’ve flown to the islands. Cava specializes in small plates and tapas that really deliver on the flavor. Their menu employs seasonal ingredients and you can taste the freshness. For dessert, don’t pass on the churros. If you appreciate a fine beer, stop in at The Portsmouth Brewery. The frequent rotation of the tap ensures a good variety of handcrafted brew. Fine pub grub like chili, burgers and nachos will accompany your drink nicely—or head down the road to another local foodie favorite Black Trumpet on Ceres Street. Portsmouth’s café scene is jiving, and everywhere you turn you get a whiff of coffee and baked goods. Drop in for a cup of java at Breaking New Grounds, which is usually so jam-packed with locals that you will have to wait for a seat. Portsmouth has a full schedule of outdoor food festivals in warmer months, held in serene seaside Prescott Park. June starts the season off with the annual Chowder Festival. This is a taste-testing event, and you have the opportunity to sample chowder from a dozen local restaurants, all in contention for the blue ribbon. September brings the Fishtival, a celebration of local delicacies of the sea, with its seafood tastings and a competitive cook-off between local Chefs. In October, the Chili Cook-Off presents attendees with a dozen spicy samples, paired with locally brewed Redhook beer and live music, all for $15. Trendy art galleries sit elbow to elbow with tattoo parlors, promising great people watching. The shops trend towards the independently owned, and there are plenty of delightful boutiques with interesting inventory. Browse the eclectic shelves at RiverRun Bookstore, with its notable collection of New Hampshire poets and fiction writers. The arts community is also thriving, thanks to the Music Hall, a performing arts center that offers music, plays, dance and film in a landmark Victorian theater. Portsmouth has been home to a sizeable African-American population for over 350 years. 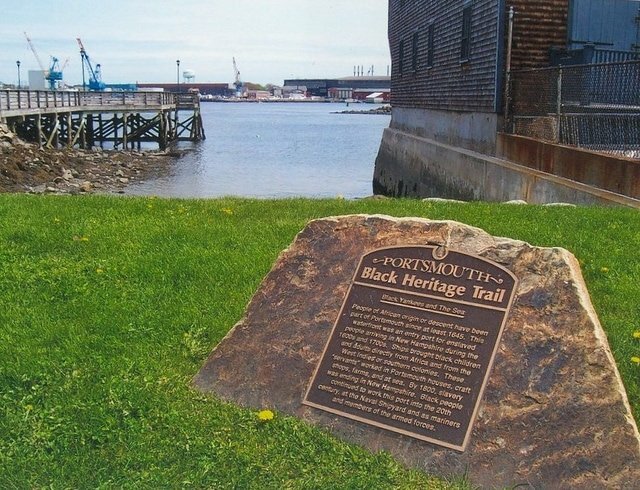 The Portsmouth Black Heritage Trail allows you to take a self-guided walking tour to explore where black residents lived, worked, prayed and celebrated. You can begin to learn some of what has been omitted from three plus centuries of white historical narrative. 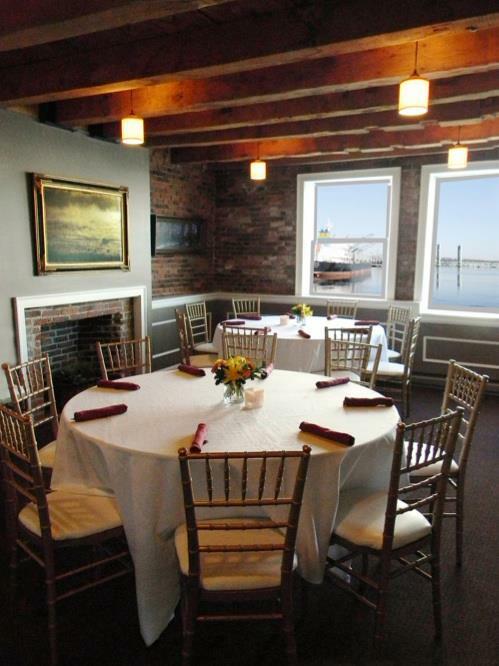 If you’d prefer to enjoy Portsmouth’s heritage (drink in hand) from the seat of steamship, consider booking an Isles of Shoals tour, which might cruise around the Piscataqua River, journey over to Star Island or pass by the Olde Working Port at night. The Hilton Garden Inn (from $143) offers modern, spacious rooms, a small indoor pool, and freshly baked cookies each afternoon. The Sheraton Portsmouth Harborside Hotel (from $159) greets you with an opulent lobby, friendly staff, clean rooms, and lots of amenities, such as in-room Starbucks coffee. 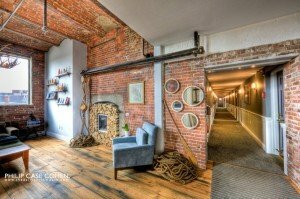 For something with a little more character, try the Ale House Inn (from $129) a boutique, urban inn that is located in a former brewery. The ten rooms all have a contemporary feel and offer complimentary in-room iPads. All of these hotels are centrally located. How to get there: Portsmouth is easy to reach connecting with the C&J Bus Lines at Boston’s South Station for the 60-minute ride. To get to Boston, consult oM’s Boston Travel Guide. The entire journey from NYC takes five hours. Portsmouth is a cool place to live and to visit. The jewel of the New Hampshire Seacoast. I love Portsmouth. Used to go there every summer to visit cousins, and your article got me re-enthused, I think it’s very charming and more so now obviously than it was in the 1970’s! Can’t wait to go back for a nostaglic vist. Thanx for the food tips. Thanks for the props! Doug @ Ale House Inn. I live in Portsmouth and this article is right, although the Chowder Festival gets overcrowded. Come on up and check it out for a few days. BTW, there’s no sales tax in New Hampshire so expect to do some shopping. Very Charming! Great ideas thanks! I can’t wait to visit this town and try the yummy fresh seafood. Thanks!! Your articles are wonderful. You cover so many interesting places accessible to New York. I could plan a whole holiday around your articles and enjoy great places and great food and accommodations. After reading this article, I feel like dropping everything and immediately visiting Portsmouth. What a wonderful vacation. 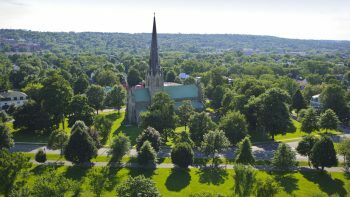 Thanks for reminding us of interesting places to visit not too far from NYC.